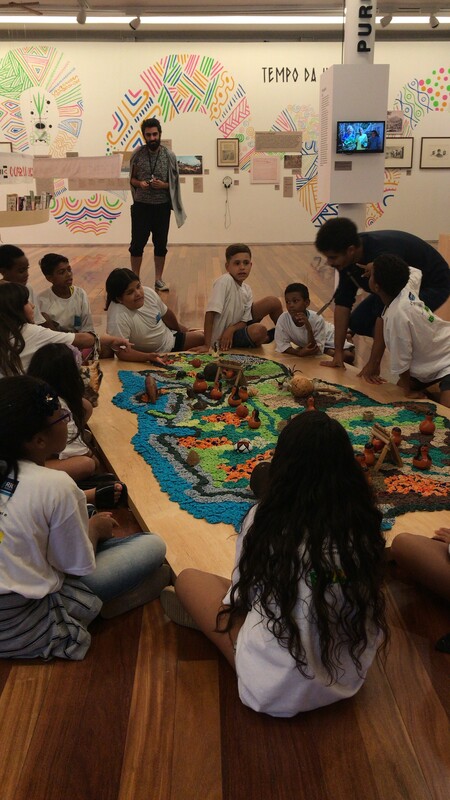 With the support of Valid, 25 children from the Centro de Referência de Assistência Social (Social Assistance Center – CRAS), located in the neighborhood of Caju, Rio de Janeiro, went on an excursion to the Museu de Arte do Rio (Rio Art Museum – MAR). One of the exhibits they saw was called “Dja Guata Porã: Rio de Janeiro Indígena” (Indigenous Rio de Janeiro). The initiative by ArtRio (the Rio de Janeiro International Air Fair) brings culture and information to NGOs and municipal schools. “The kids loved it, and the guided tour was very interesting, since it explained each corner of the museum, which enriched the excursion. I like to say that our goal at the CRAS is to go beyond the walls of the cemetery they live next to, and these activities show kids and youths that the world has other colors and sounds, and that they can visit these places,” stated Caroline Nunes, manager of CRAS Caju.